Priorton Barton is home to the 40-cow Red Devon herd and 20 cow Simmental herd, running alongside a flock of 400 Suffolk cross ewes, 200 Poll Dorset females and a 12,000 free range chicken broiler unit. The 450-acre farm produces all the forage required for the cattle and sheep with 200 acres into cereal production primarily for own consumption with the surplus corn being sold to local feed mills. It is owned and managed by John May and his fiancé Sue Clarke. John’s grandfather Clifford May came to Priorton Barton in 1921, having previously farmed at Beers Farm. The move to Priorton came about when Clifford’s brother, Albert, returned to the family farm having served in World War 1. Devon cattle came with him and the Priorton herd was established. Even now some of the foundation cows can trace their lines back as far as those early females including lines such as Showgirl, Show Lassie and Prettymaid. John and his late father William, (Bill) are known for their passion of the breed and as a past Society President, Bill was one of the first to judge the breed overseas, whilst John is the youngest to have judged at the Royal Show, (RASE) in his early 20’s. John regularly judges at both regional and national level and is currently serving his second term as a council member for the Devon Cattle Breeders Society.The Simmentals were introduced as a secondary breed in the early 1980’s with the purchase of two females from Phillip Houses’s Cloford Herd dispersal, followed by purchases from Society Sales and more recently the Loxton Herd. 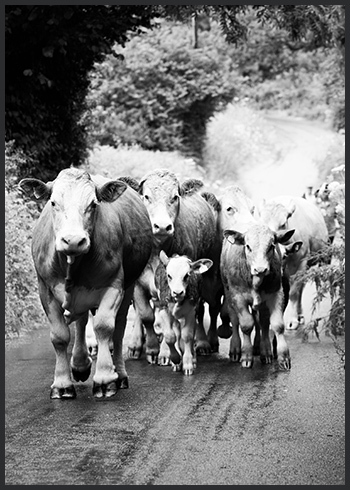 John is on the Simmental Society’s judge’s panel and is chairman of the South West Simmental Club. John and Sue have been undertaking a flushing programme for both the Devons and Simmentals. Sheep number will likely scale down and cattle numbers increase to meet the demand for private sales and to provide strong teams for Society sales.The herd is part of the SAC Premium Cattle Health Scheme and is accredited and vaccinated for IBR and BVD, with routine testing carried out for Johne’s and Lepto.Showing is undertaken in the south of the country with attendances at Devon County Show, Royal Cornwall, Royal Bath and West and Royal Berkshire (Newbury Show) as well as other one day shows.Bulls and females are available for sale privately off the farm, but select teams will also be offered at Society sales.